How to Fix "Fail to Restore Backups of iDevice" on 3uTools? 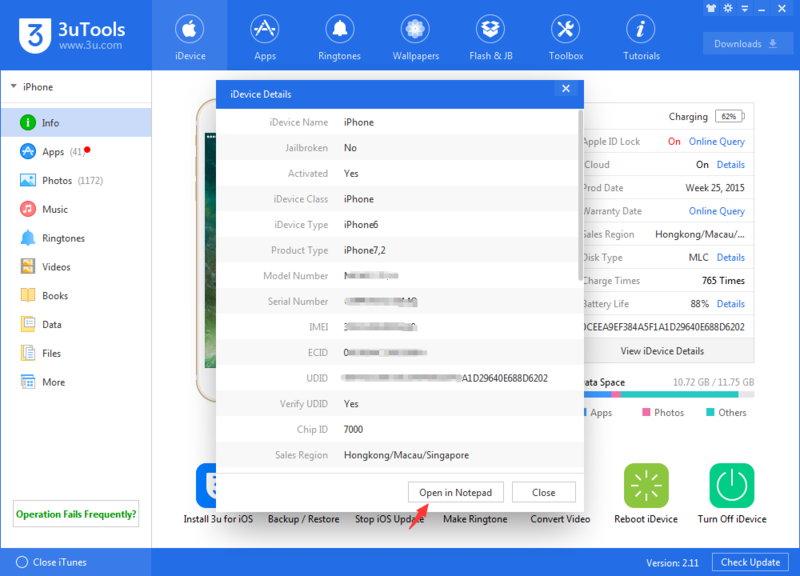 According to some users, they fail to restore the backup of their iDevices on 3uTools. Let’s keep reading and figure out the solutions. 1. It is stuck at a random progress for long time. Solution: Unplug the USB cable and plug it in the backward port of your computer. Re-launch 3uTools and restore again. 2. 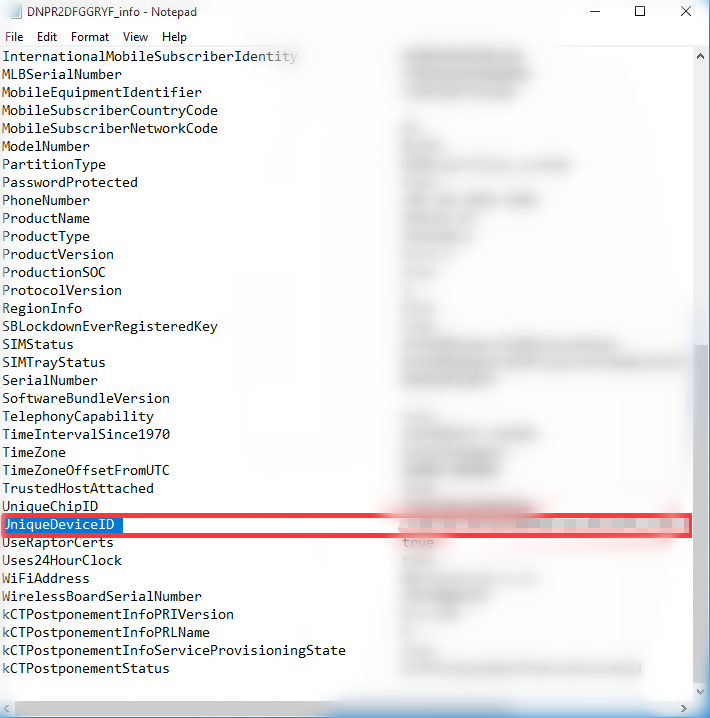 Lack of info.plist file. Cause:This reminder will exists if you rename the backup file. Solution: Rename the backup file to the name of DeviceID (lowercase). How to check DeviceID: Launch 3uTools, go to iDevice, and click “View iDevice Details” → “Open in Notepad”. Find out UniqueDeviceID as the followed picture. You need to enter the password you set during the progress of restoring. Cause: An error occurred to one of the backup file. Solution: In some cases, you may need to delete some particular characters of a file named “Manifest.db”, please contact us on Facebook. But if there are multiple errors about backup files, we can not help you to fix that. Please open the backup folder to check if the files are completed. If there is a folder name “Snapshot”, it means that the backup is not completed, you are not able to restore on 3uTools. How to Use Back up and Restore in 3uTools? How to use Customized Backup & Customized Restore? How to Manage iPhone's Files? How to Back up Notes Using 3uTools? 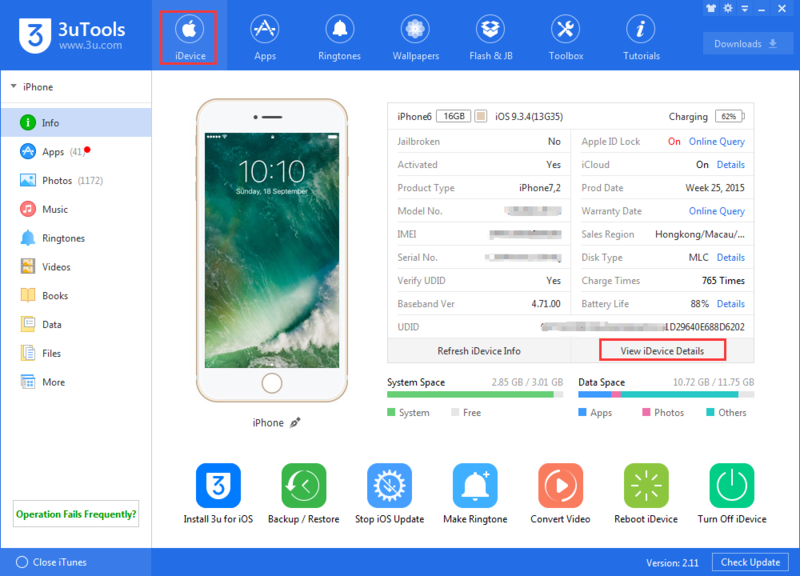 How to Use 3uTools to Back Up Your iPhone Before Installing latest iOS？ Failed to Restore Backup Files of iDevice on 3uTools? Here is The Solution How to Back Up Your iPhone Before Installing iOS 10.3?